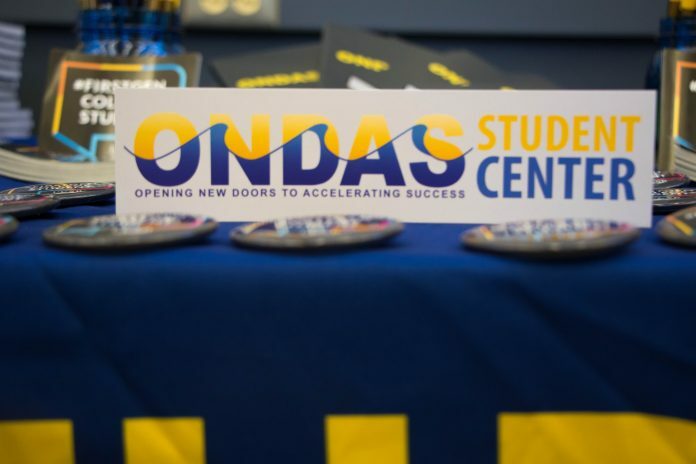 The “Opening New Doors to Academic Success” (ONDAS) Student Center began the 2017-18 school year with an open forum for students on Thursday. ONDAS “promotes the success and retention of first-generation college students,” the organization writes on its website. The center is also geared toward transfer students and those from the Latinx student community. The creation of the ONDAS Student Center stems from the University of California, Santa Barbara becoming a Hispanic-Serving Institution (HIS) in 2014, meaning that at least 25 percent of full-time undergraduate students are Hispanic. After gaining the new title, UCSB applied to the U.S. Department of Education’s Title V Program, also known as the Developing Hispanic Serving Institutions Program, which helps schools increase educational opportunities for Hispanic students. The program awarded UCSB the ONDAS Grant, which was divided into three parts — faculty development, evaluation and learning analytics, and the student center itself. First-Gen Forum and Table Talk, two of ONDAS’s programs, each help achieve the center’s goals. The First-Gen Forum is a weekly meeting for first-generation students to connect with each other, build community, meet with EOP staff and allies, answer any questions, and enjoy food together. Meanwhile, the Table Talk program was established to improve student-professor relationships, giving students the opportunity to have dinner with their professors, who serve on a volunteer basis. The goal of the ONDAS program, representatives said, is to improve the confidence of students when interacting with professors while also improving their access to important connections and resources at UCSB. The ONDAS Student Center is located in Kerr Hall.